The NPD Group has published the data of sales related to the north american market for February 2019, and although, as usual, are not given numerical values accurate we know that, on the hardware front, was Nintendo Switch the console more sold. With regard to the software, as we have seen, the Anthem was the best-selling game in the US in February 2019, but thehardware tells a different story: in this geographic area, in the month just elapsed, the console sold was Nintendo Switch. The hardware segment of the videogame market has seen an increase of 12% in terms of sales compared to the same period of the previous year and this was, in particular, the February of the most successful for Nintendo from 2011 as sales. 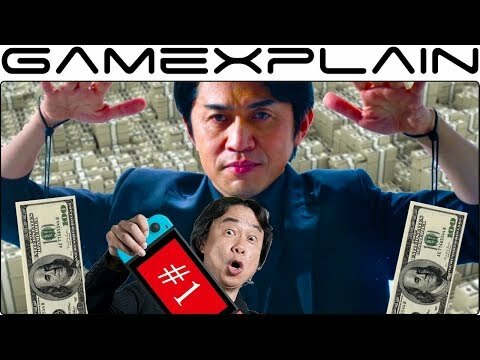 Despite the lack of exclusive titles of high calibre, in this February 2019, then, Nintendo Switch has recorded the best sales in terms of dollars made compared to the same period in the last few years since 2011. Nintendo Switch thus continues with its excellent performance in north America, after the success recorded in Japan.